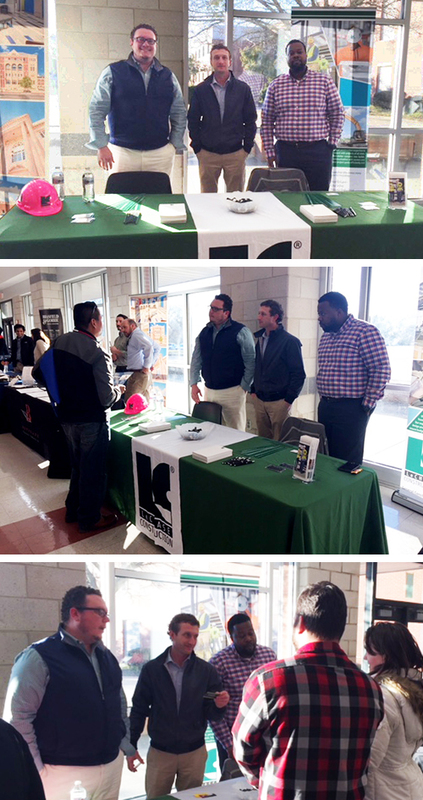 By Jeanne Eason February 8, 2019 Community, Durham, N.C.
LeChase met with potential subcontractors and vendors at the annual Small Business Expo held in Raleigh on January 28. Now in its 21st year, the event enables small businesses to talk with contacts from city and municipal departments as well as private companies in construction, transportation and other industries. LeChase has participated for the past several years. This year, Project Managers Cameron Jones, Will Whittington and Brandt Smith (shown l-r in the top photo) represented LeChase at the event along with Regional Diversity Manager Denise Barnes.